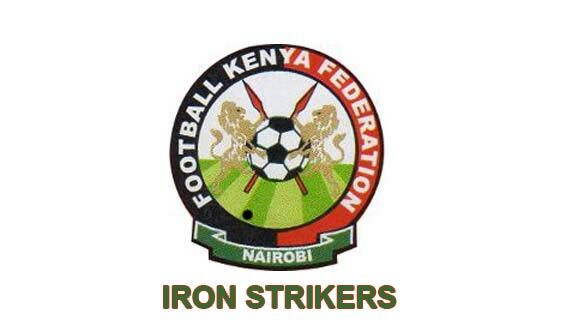 Nationwide side Iron Striker FC will be looking to gun down Sparki Youth in their Saturday league match. The team that is struggling for form is rooted bottom of the league after losing all of their three league matches and will be hoping for a better outing when they welcome Sparki youth at their backyard at Marist University grounds. The side is yet to collect a single point after registering a poor show in their first three matches and their Coach Jeff Omukati is positive that the side has learnt from their mistakes and will give account of themselves in today’s match. The new boys on the block believe inexperience is not a problem in their quest to finish among the top teams in the league and that it’s a matter of time before they challenge the top dogs in the nationwide league for glory. “I am disappointed with the performance of the team so far but we have learnt from our mistakes and I am sure today things will be different, playing at home will be a boost to the side despite our misfortune in the league.” He said. The team will be missing key players over the weekend through injuries but the coach believes the side has enough depth to cover up for the missing players. “We have been unlucky since the first game of the season mainly our last match in Mombasa that some of the key players sustained injuries which has ruled them out of today’s match but that will not be a hindrance to beat Sparki Youth. It’s the high time we redeemed ourselves by finally picking up points. Sitting bottom in the league is not the brightest start” he added.